Combines the simplicity and slim profile of a wirebound planner with the best features of a padfolio. Features planning and communication platforms. 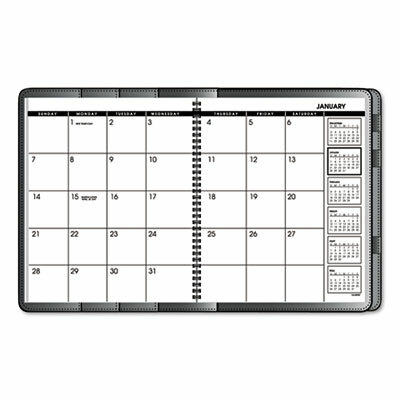 The Planning Platform® includes a monthly planner, storage pockets and ribbon page marker. The Communications Platform® contains a telephone/address book, self-stick note pockets, writing pad, business card pocket, and pen loops. Combines the simplicity and slim profile of a wirebound planner with the best features of a padfolio. Features planning and communication platforms. The Planning Platform® includes a monthly planner, storage pockets and ribbon page marker. The Communications Platform® contains a telephone/address book, self-stick note pockets, writing pad, business card pocket, and pen loops. Updates easily.